I have tried to keep a number of books on hand to read. Here are a few that I have read over the last several months. Some of these may be helpful to you and others not. 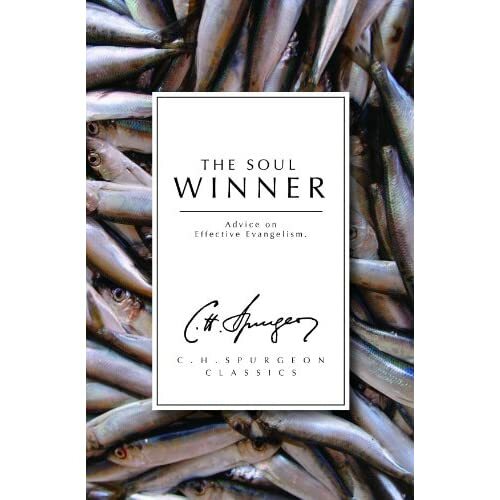 The Soul Winner by Charles H. Spurgeon – This was a book that was recommended by Mark Dever at Together for The Gospel Conference that I went to in April. This is a collection of lectures by the famous preacher, Charles H. Spurgeon. Within these lectures, Spurgeon talks about the importance of leading people to Christ and how to lead people to Christ. Spurgeon has a way of being forcefully encouraging. If you are serious about leading people to Christ, then this book needs to be on your shelf or on your kindle. Church Membership and Church Discipline by Jonathan Leeman – “Jesus did not die on a bloody cross to gather a loose collection of souls bound for heaven, but to create a new community as proof of his gospel to the world (Dodson, Gospel-Centered Discipleship, 109).” The church is God’s new community to show his gospel to the rest of the world. As members of a church, we are to image God to those who are outside. If you are a member of a church or planning on becoming a member of a church, I encourage you to read these two short books. The Pleasures of Reading in an Age of Distraction by Alan Jacobs – A book about reading for those who like to read (or want to like to read). Jacobs, an English professor at Wheaton College, offers “an insightful, accessible, and playfully irreverent guide for aspiring readers.” You could find this book helpful if you have lost direction in your reading. Leepike Ridge by ND Wilson – I love to read all kinds of books, but one of my favorite types of books to reads is adventure/fantasy. A young boy named Tom who lived his entire life beside Leepike Ridge finds himself trapped underneath it. This an adventure of a young boy, a castaway, a dog, treasure hunters, and the quest for a buried treasure. If you are looking for something for your 8 year old to 12 year old to read this summer, check out this book. If you need a little childhood adventure yourself, you can read it too! You are never too old for adventure. 10 Who Changed the World by Danny Akin – Stories of missionaries are always inspiring. Dr. Danny Akin, president of Southeastern Baptist Theological Seminary, has combined the stories of ten missionaries in this book. He intertwines the lives of the missionaries and scripture to show the powerful and transforming affect of scripture on their lives. God does amazing things in the lives of those who have been transformed by his word. Dr. Akin tells the stories of David Brainerd (1718-1747; missionary to Native Americans), George Leile (1750-1820; missionary to Jamaica), William Carey (1761-1834; missionary to India), Adoniram Judson (1788-1850; missionary to Burma), Lottie Moon (1840-1912; missionary to China), James Fraser (1886-1938; missionary to China), Eric Liddell (1902-1945; missionary to China), John (1907-1934) and Betty Stam (1906-1934; missionaries to China), William Wallace (1908-1951; missionary to China), and Jim Elliot (1927-1956; missionary to Ecuador). Be encouraged to follow hard after God and to let his Word truly affect your life.